This came at the perfect time. I’m writing something on reaching out and will be re-thinking how I approach it now. 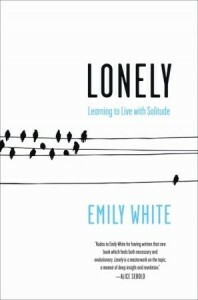 I think Emily White’s next book will be about reaching out. I’m kind of curious. Although her situation is different from the situations of people with chronic illnesses I think she’s doing a good job in getting people to talk about loneliness.